I found an interesting fact on the Holden Arboretum’s (one of the nation’s leading arboretums and one of the Audubon Society’s Important Bird Areas) webpage about the American Goldfinch. We know that the American Goldfinch works hard for days, building its nest just-so with the best materials and instincts. You can’t just lay your eggs anywhere right? Unless your a Brown Headed Cowbird! This bird purposely leaves its eggs in others birds’ nests to be raised by the owners. When confronted with this situation, the goldfinch takes the egg in and incubates it along with its own. The baby Brown Headed Cowbird hatches alongside of the American Goldfinches, and it’s given a share of the hatchlings’ food. Despite this, it often dies after only a few days because it can’t tolerate the goldfinches’ low-protein diet. This is proof that birds don’t have a parenting guide to raising difficult children either. 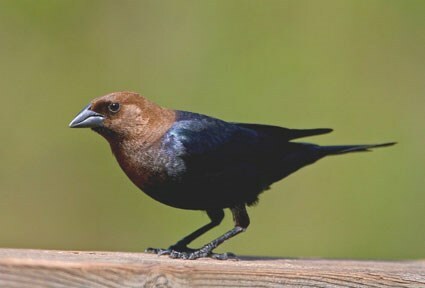 Some may be quick to blame the Brown Headed Cowbird for its apparent lack of parenting, but I personally think that the arrangement is just the Brown Headed Cowbird’s idea of sending its children off to boarding school.